I had a bit of trouble coming up with the name for this week's card class (tonight is actually a repeat of last week's class) but pretty is exactly what I think these cards are! 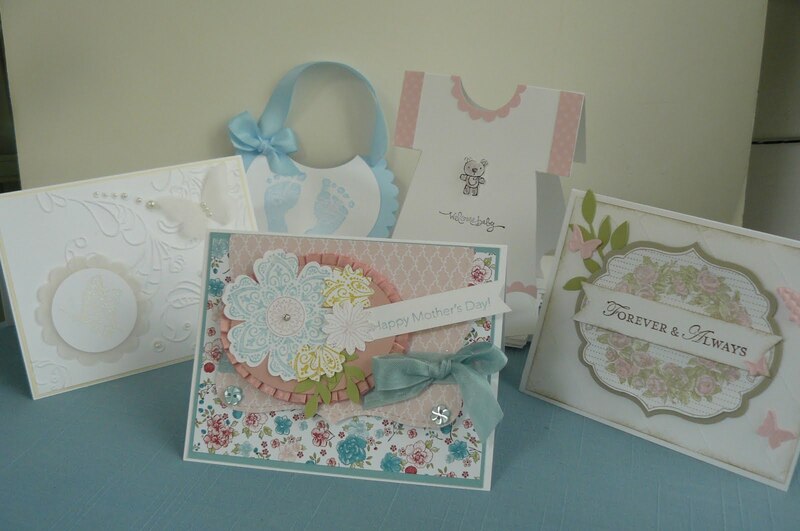 I made up a combination of Mothers' Day/Wedding/Baby cards for this class -- 5 cards in all. For the lady that is without a mother, the sentiment for the Mother's Day Card could be substituted with any other sentiment. The first card here is one of my wedding cards. You'll see that I used the diagonal score board for a lovely background. 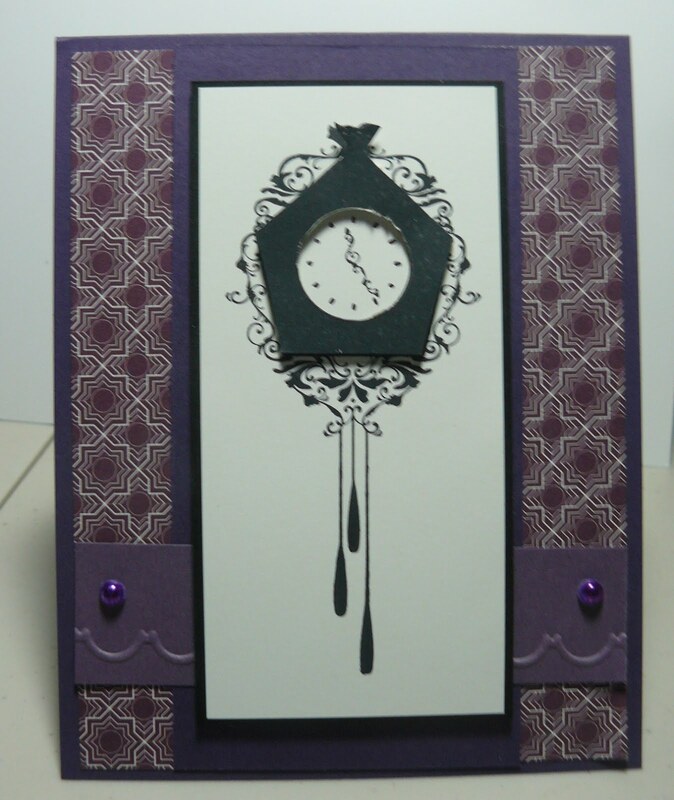 The sponged background around the card serves to antique and soften it a bit. 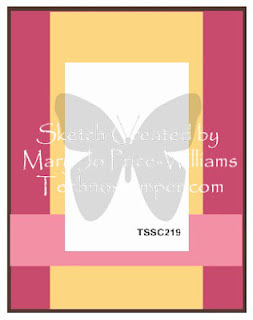 Don't you love the butterflies?! Card number 2 is a bib card. 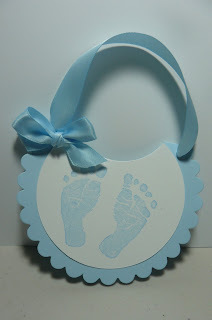 This card is so easy to make now that I've figured it out! I cut out the first circle with a large scallop circle die, making sure that I left 8 scallops on the fold (if you place your scored line, the folded card inside the die-cut area, it leaves your fold intact). I then cut a 2nd circle out of whisper white with the 3" circle die. To make the bib, I used the 2 1/2" circle punch and made sure that I had 3/4" remaining on each side of the punch on the fold. 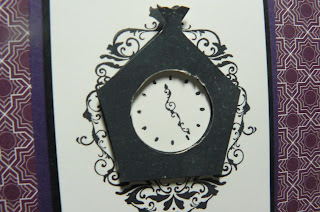 This will be tough on your punch -- it's hard to punch through 2 layers of cardstock but it can be done! Card number 3 is my onesie card. I cased this card from Ilina Crouse. (My full-size card turned out too blurry to share.) After Ilina had her baby last fall, she made a bunch of onesie cards as thank you notes. Other than changing the sentiment to "welcome baby", I didn't really change too much other than the snaps at the bottom of the card. Isn't it so sweet? 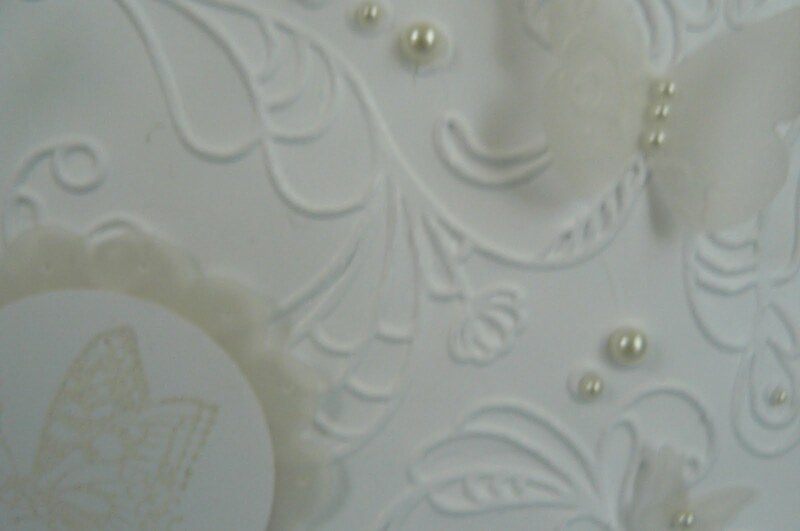 Card number 4 is my 2nd wedding card. This card will be the wedding card for Bob's cousin's wedding the end of this month! I just love the unblemished white look. The 2nd view is a close-up of the card -- I embossed the white butterfly from Nature's Nest with a concocted mixture of white and iridescent ice embossing powder. I'm so sorry you can't see the sparkle to appreciate how lovely this butterfly is! I wanted to use just the iridescent mixture but it didn't show up enough at all against the white. 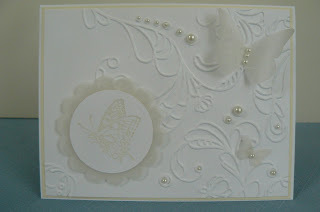 The vellum butterflies and the vellum background scallop circle was a sweet touch too, I thought. 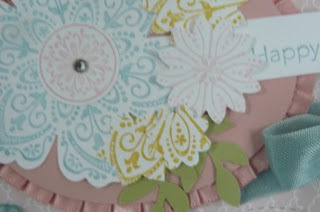 My last card is one that you've already seen I think, so I'm just sharing a close-up view. We made it at my Cape weekend -- my upline brought that as her shoebox swap. It was so beautiful and detailed that I figured, why reinvent the wheel?! 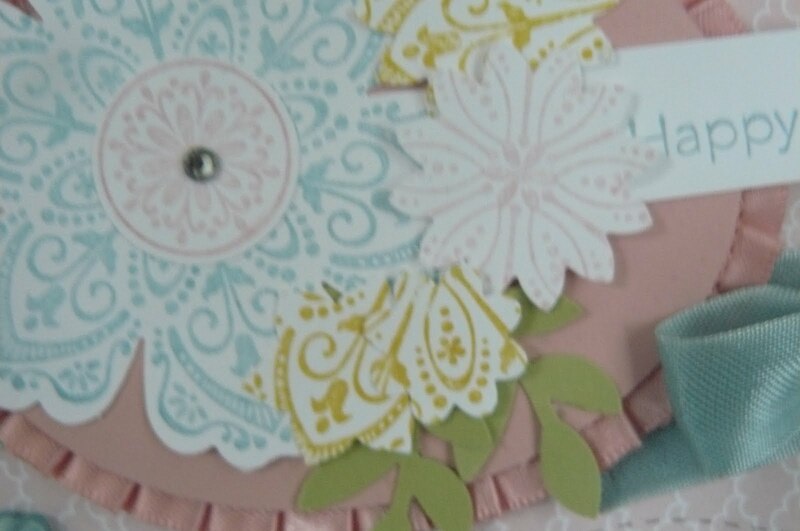 If you can't figure out the small flowers, they're one of the flowers from the Mixed Bunch stamp, punched out with the Boho Blossom punch. Neat, huh?! 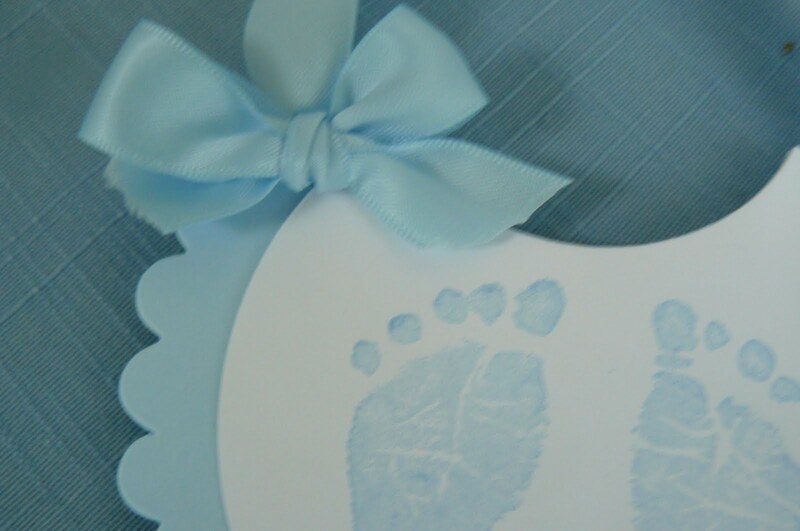 *Just a couple of notes: The Mixed Bunch stamp set and Baby Prints are being carried over from the mini catalog so you can still get them if you missed out the first time! The satin ribbon from the bib card will be discontinued with the present catalog -- I guess, alternatively, one could use Seam Binding for the card! Hurry to order any retiring stamp sets and accessories you may want before May 31st! That's all for today. I'm going in to work this morning for an award luncheon to celebrate my Clinical Nurse IV award. That's as high up on the clinical ladder that one can "earn" at Beth Israel. It took many months (it actually took me 7 years to complete my portfolio!) to finally finish the whole process and work up the nerve to go before the panel of nurses on the committee! Phew! So glad that's behind me! If you're in the area (north of Boston), or if you'd like a card kit for $20 (not including postage if I send it to you), please leave me a comment or an email! Visit my Stampin' Up! demonstrator website on events to see everything that is included when you come to one of my classes! Anywho, thanks for visiting me today!! I love you all! Lunchtime Sketch Challenge ... on Thursday this week! Well, I appear to be improving on my timing a little bit. I once again participated in Mary Jo's Lunchtime Sketch Challenge -- again with a card for my brother-in-law's birthday ... since I decided that last week's card was more fitting for my dad's retirement coming up in June! Here's my take on the sketch. I'm not a big purple fan, but I loved how the purple seemed to go with the image -- masculine, but not overdone -- a clean and simple card. 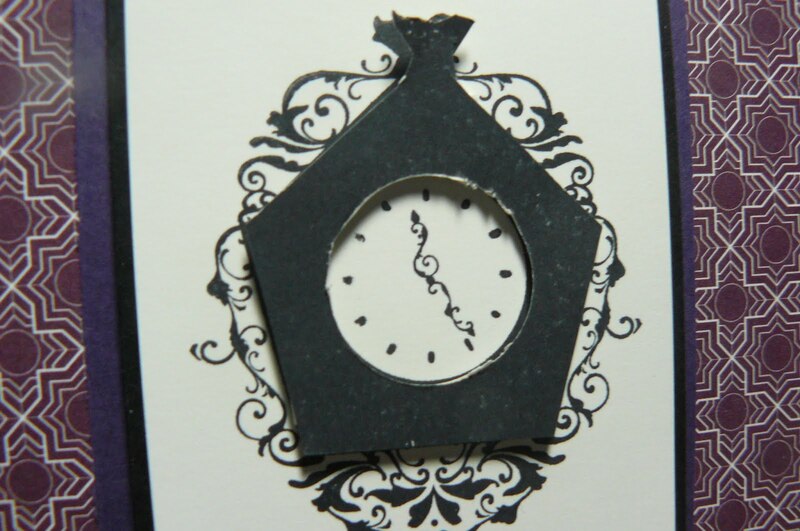 While looking for something to add to the image, I decided to pop up the outside of the clock. 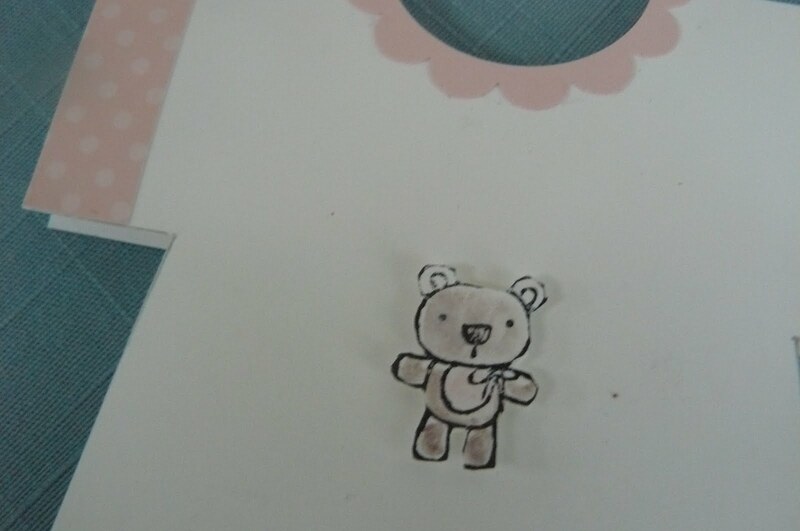 Bear with me ... 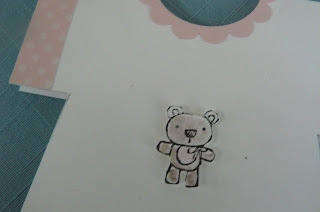 I had only stamped one image on Whisper White, and two on Vanilla c/s (I borrowed the stamp set while down on the Cape with my demonstrator buddies last w/e). 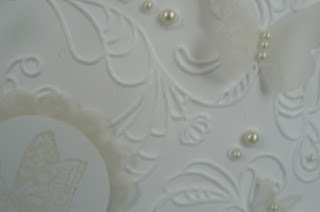 Here's another view of the bottom of the card -- I used the Adorning Accents embossing folder, but the card still needed something. 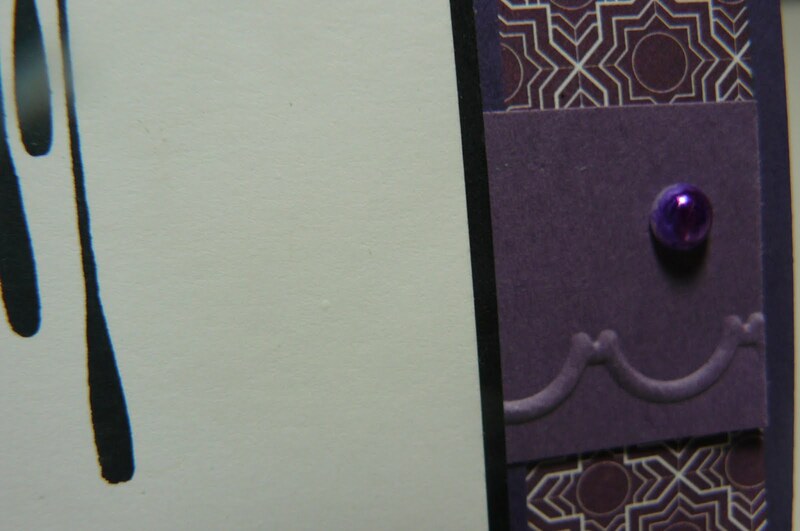 I decided to color 2 of our pearls with a purple sharpie marker -- not a perfect match, but it worked nevertheless. Thanks for joining me today! Come back tomorrow when I hopefully have another project to share for next week's Technique class! A New Month ... But Time for "Something Old" Again! It's May 2nd and I placed my first pre-order for items from the new catalog yesterday afternoon -- it'll get here by Thursday p.m.! Yay! I can't wait to play with the new in-colors and try out the new ink pads! I only pre-ordered a couple of stamp sets and designer papers, just to give you all a sneak peek. In the meantime, catalogs will start shipping out to my customers on May 14th -- are you on my list? Email me today for your own copy! I thought everyone would benefit from having all of the retiring lists and carry over lists in one place. CARRYOVER LIST. (Click on the links for this and all lists.) 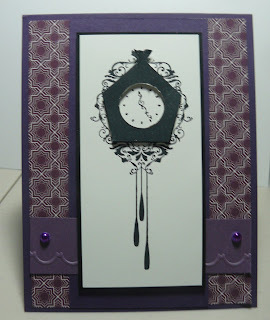 Although the Spring Mini Catalog was "done" as of April 30th, Stampin' Up! released a Carryover List. "Carryover" means that the products are still available for purchase even though the catalog expired 4/30. This does not guarantee the products will be in the new catalog. STAMPIN' UP RETIRING STAMP SETS. The last day to order any stamp sets on this list is May 31st! They won't disappear based on depleted supplies, but after this date, you're going to have to look awfully hard to find these stamps if they're on the list! 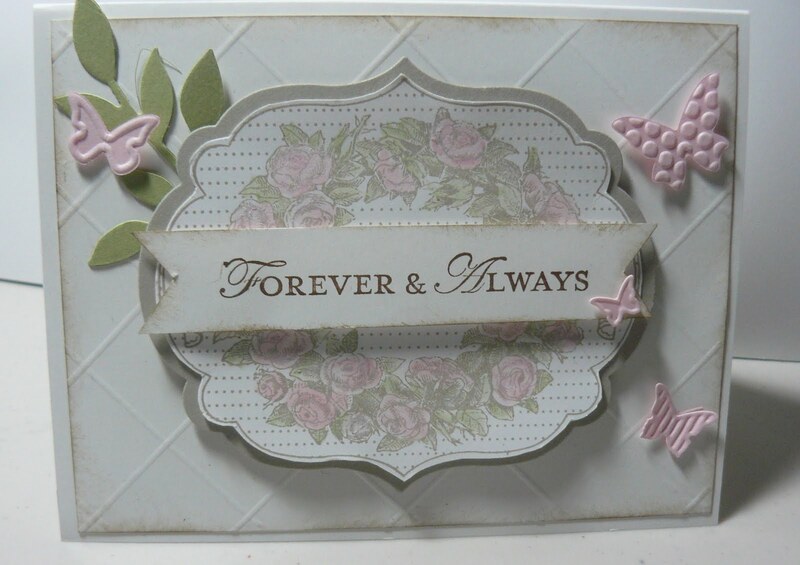 STAMPIN' UP RETIRING ACCESSORIES LIST UPDATED. Select products discounted to 70%. Products are ONLY available while supplies last. Please note that items with an "X" to the right are sold out. STAMPIN' UP RETIRING DEFINITELY DECORATIVE LIST. The entire line of Definitely Decorative accessories is being retired. These make great wall accents, or even a great accent to your lap top cover, etc. If you like something, the last day to order these is May 31st! What's Retiring and Why? Many of you are excited but a bit overwhelmed by the size of the STAMPIN' UP! RETIRING ACCESSORIES LIST. YIKES!! 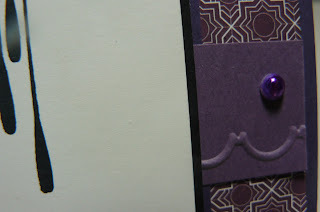 Well, I put together a brief overview with details of what I have gathered from Stampin' Up! I'm hoping this will lessen the confusion and your anxiety! Stampin' Spots are being discontinued. Stampin' Up! may possibly reconfigure & sell some of the Classic Ink Spots, and the Getting Started Collection will continue with the new catalog. Two items that were included on the Retiring Accessories List are not actually retiring. The lists have been updated to remove these items. *A FINAL NOTE: I have always been one to embrace change and am very optimistic that the new catalog will fulfill my stamping dreams of fabulous stamps, luscious colors (no pun intended with Stampin' Up's classic naming of the colors! ), and fantastic accessories! Contact me today if there's anything I can help you with! 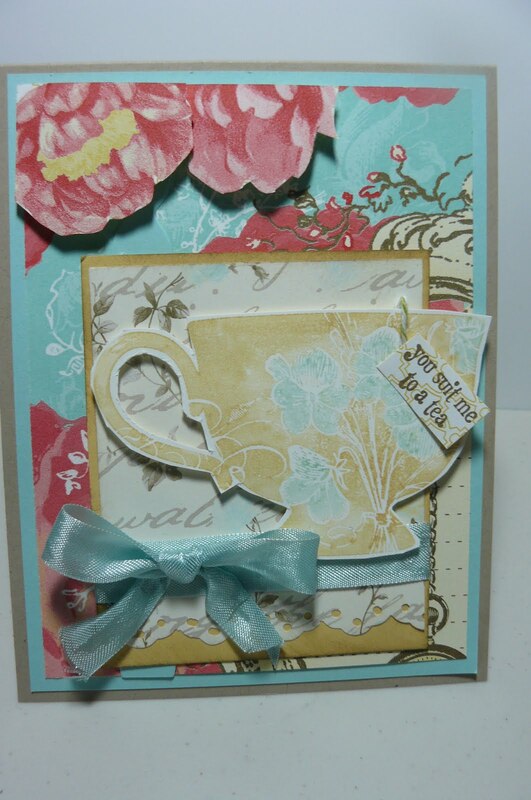 Well, time to share a quick card that I made yesterday in preparation for Mom for Mother's Day! She loves to drink tea with my dad every afternoon and evening. They'll now have more time for tea since he's retiring June 15th after at least 35 years on the farm (including growing up) and 30 years in the store! I used the Tea Shoppe stamp set and the Attic Boutique DSP to create this beautiful card. I was totally inspired by Robin Messenheimer's card! I didn't nearly do it justice but I know that my mom will love it regardless! I popped up a couple of big flowers from the back of one of the papers -- if I was a scrapbooker, this paper would be out-0f-this-world gorgeous, but since I'm not, it's just fantastically gorgeous!! I used my So Saffron marker so I could color in a couple of the flowers on this vintage-looking cup with my Bashful Blue marker. I tied a Pool Party seam binding bow around the image, and attached a tiny little "tea bag label" to the top, again with a scrap of the DSP. So, what do you think? Almost as nice??! !